Since Tudor times the City has been obliged to provide Trained Bands of soldiers for the defence of the realm and the City in particular. These soldiers, mainly found from apprentices of the Livery Companies, were mustered during the threat of a Spanish invasion in the reign of Queen Elizabeth the first. Trained Bands fought in the English Civil War (the Pikemen and Musketeers of the Honourable Artillery Company remain almost unchanged from that time) and have always provided the backbone of the Volunteer Forces in every conflict since. This warship is one of the advanced Hunt Class of GRP-built mine counter-measures vessels, and entered service in 1984. She is equipped with a remote control mine disposal system, influence sweeps and a 30mm gun. The ship has a displacement of 685 tonnes, is 57 metres in length and has a complement of 40, including a mine clearance diving team. She has recently returned from operations overseas and is currently in the UK for a refit. Descended from the London Volunteer Engineer Regiments pre-dating the Boer War and the London Divisional Engineers which served with distinction in both World Wars the Regiment was re-formed in 1988 from the volunteer squadrons of its Regular Army sister Regiment. It comprised three Field Squadrons in London and the South East of England, a REME workshop and has a Regimental HQ based at Wimbish in Essex. In 2015, 101 became a hybrid (part Reserve part Regular Army) bomb disposal regiment and in conjunction works with its sister Regiment both on exercises and operations. Soldiers of the Regiment have recently been deployed in the Balkans, Iraq and Afghanistan. Last year 101 Regiment was granted privileged status in the City of London, the first ever Royal Engineer Regiment to receive such an honour. With headquarters in Knightsbridge in Central London, the aircraft and flying training of ULAS are based at RAF Wyton. 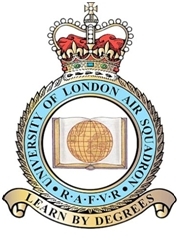 Formed in 1935 at RAF Halton, ULAS now has some 30 university cadets and bursars sponsored by the RAF. The Squadron also has up to 75 volunteer reserve members recruited from the University of London, City University and Brunel University. In line with the recent Lord Mayor’s initiative seeking closer support for the Cadet Forces, the Pattenmakers’ Company is affiliated to Kent Army Cadet Force. Kent is amongst the largest Army cadet Force in the UK with over a 1,000 personnel in over 40 locations through the county. 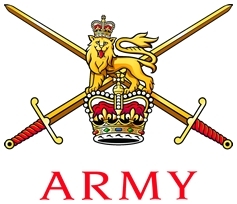 The Livery supports the Kent Army Cadet Force financially by providing grants to enable underprivileged cadets to attend the annual training camp and other activities as required.